"More? Not possible. Then you would have to produce abroad. And that would no longer be my work. They would no longer be my shoes." And they must remain so, 100%. 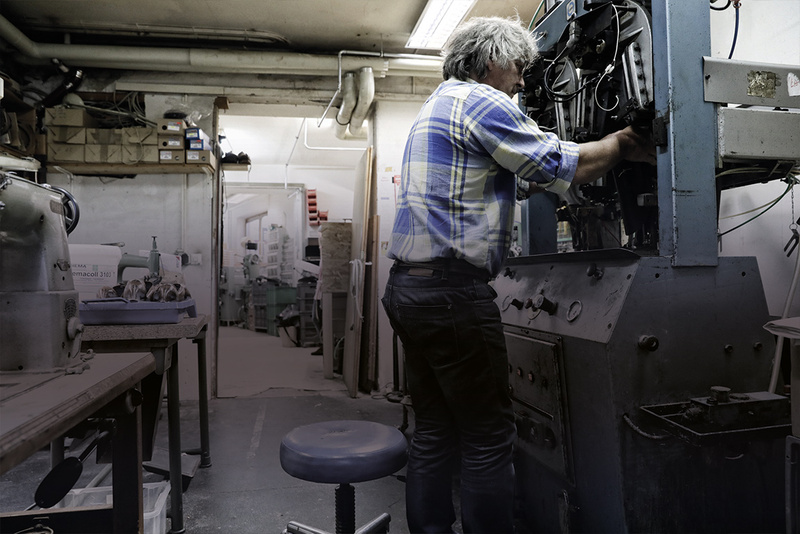 This is the most important thing to master shoemaker Josef Zollner. A man who has stuck to his principles since 1993. He is proud of his rare profession and does not tend to be a volcano of words. A Bavarian original - more action than words, and always willing to surprise. Therefore, it is no surprise that, alongside the traditional 'Haferlschuh' (traditional Bavarian shoe), he has recently added a sporty trekking model. This did not fall from the sky, but rather grew over three years in Zollner's head and in his hands. What began with a drawing on paper became specific templates and finally a wearable model shoe. Zollner sent this out into the Werdenfels mountains. The test on foot and cliff was accompanied by ongoing revisions, until his own quality requirements were met. And the shoe was allowed to enter his shop. The atmosphere there is cosy. Glaring light and overstuffed shelves? Wrong! Here the shoes live in the living room and are tried on sitting on a sofa, allowing them to find the right wearer in peace. But the cosy atmosphere gives no indication as to what is happening on the other side of the dividing door. In fact, the compressor sets the tone in Zollner's workshop. A sharpening machine, eyelet machine, lasting machine, grooving machine, embossing machine, sewing machine and various presses - a real fleet that wants to be driven and is constantly in motion. However, it is not just the space-filling machines that impress but also the amount of work that they reveal. Which is in every Zollner shoe, along with a whole load of manual work. A pair of Haferlschuh, for example, consists of 28 individual parts and must be handled countless times. Preparing, punching, sharpening, piping, sewing, lasting, gluing, drying and trimming. A perfect interaction between man and machine. Because a quality shoe that differs considerably from glued discount shoes in terms of durability and comfort can only be made in this way. And while we are on the topic of "size", shoes individually tailored to size are of course also part of Josef Zollner's repertoire. His most exotic piece shows just how eccentric the customers' wishes can be. A cowboy boot decorated with hand-stitched flames and an American flag provide a little bit of Johnny Cash flair. Which somehow suits the master, even if he prefers to wear trekking shoes with his jeans and belt buckle. When asked about future product ideas, he responds with his typical charming silence. A mischievous smile is followed by some very revealing words: "I have some already. But I'm not going to say. Time will tell." You should definitely take a look at his shop and his wonderful shoes. They are all handmade: Made of high-quality materials, German quality leather with original double stitching. 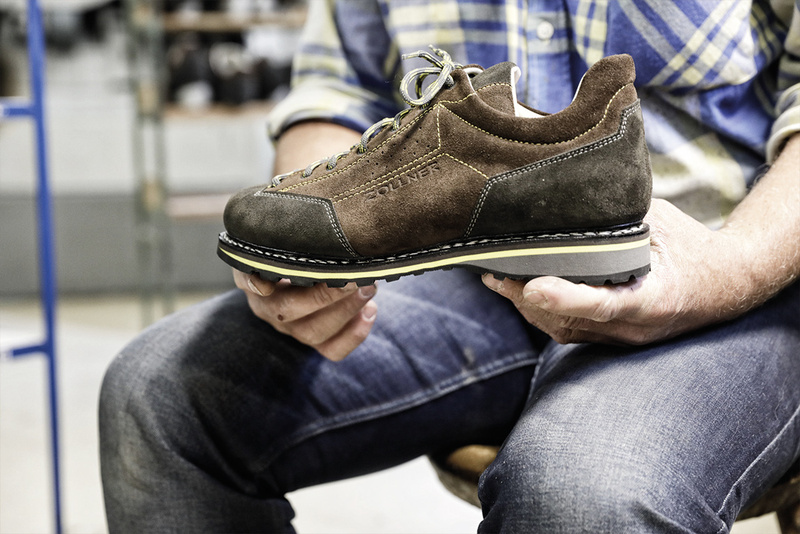 From robust felt boots to the sporty trekking model to Haferlschuhe to be worn with traditional costume or jeans.